It's everyone's favorite day of the week... Friday. FRIDAY. FRIDAY!!!!! 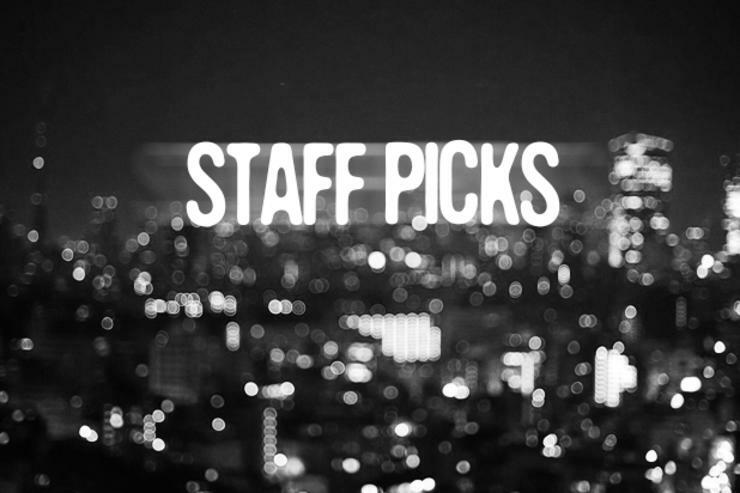 While we stare at the clock for the next two or three hours and count down every single second until the work day (/school day) finishes, we've rounded up our favorite Soundcloud releases from the past week for the weekly Staff Picks playlist. Last week was dominated by the glorious release of Gucci Mane from prison. This week, due in part to the fact that the majority of the biggest releases (Pusha, YG, Mike Will, etc) did not include a SoundCloud post, we went a slightly more indie route this week. All corners of North America are represented this week... give it play tonight or during your weekend activities. Rose Lilah: Lil Uzi Vert "$ub Zero"; Lil West feat. Night Lovell "Fukk! !CodeRED"
Carver Low: Jace feat. Lil Yachty "Watch Me"; Young Sizzle "Fade Away"
Daniel Schwartz: Night Lovell "Contraband"; Alex Wiley "I Need That"
Angus Walker: Statik Selektah & 2 Chainz "Smoke Break"; Kur "Just Like That"
Mike De Leon: Jesse Marco feat. Adrian Lau "Mobbin"
Trevor Smith: Mozzy feat. E Mozzy & Kid Red "Respect My Gangsta"